U.S. general says Iranian naval exercise around Strait of Hormuz was meant to send a message to Washington before it reimposed sanctions. 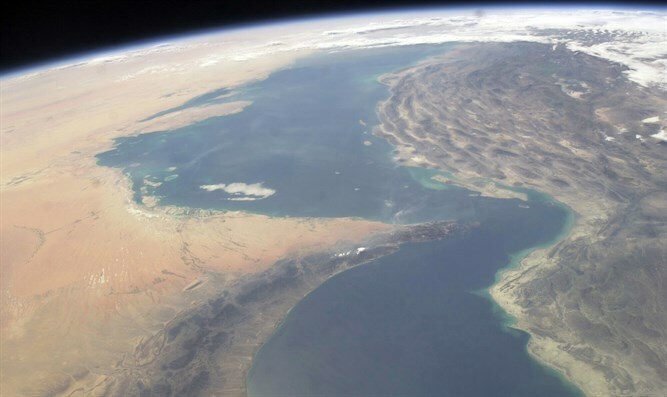 The general overseeing U.S. military operations in the Middle East said Wednesday that an Iranian naval exercise around the Strait of Hormuz was meant to send a message to Washington before it reimposed sanctions on Tehran, AFP reported. Iran launched the exercise in the Gulf last week, sending dozens of small attack boats out into the Strait of Hormuz, a vital, oil-shipping waterway that Iranian President Hassan Rouhani last month threatened to shut down. "It's pretty clear to us that they were trying to use that exercise to send a message to us that as we approach the period of the sanctions here that they had some capabilities," U.S. Central Command head General Joseph Votel told Pentagon reporters in reference to the drill. The capabilities include ocean mines, explosive boats, coastal defense missiles and radars, he said, according to AFP. Votel said he saw Qassem Soleimani, who heads the external operations Quds Force for Iran's Revolutionary Guards, as being responsible for the exercise. "He is an individual who is perpetrating a lot of this destabilizing activity," Votel said, adding, "Wherever you see Iranian activity, you see Qassem Soleimani." Tensions between the U.S. and Iran have increased following President Donald Trump’s withdrawal from the 2015 deal, under which sanctions on Iran were lifted in return for curbs to its nuclear program. On Monday, Trump reimposed sanctions on Iran. The sanctions target Iran's access to American dollars and steel and automobile industries, ban trade with Iran in gold and other precious metals, and include other sanctions which were lifted under the 2015 deal.